Since my last post in late October, our lives have gone through a whirlwind of change. Julianne landed a new job at the University of Kentucky and I have picked up more contract work. With this kind of change, the routines we had established have fallen by the wayside and our weight loss has stagnated. What I have learned from this is that an established routine is necessary for success. Yes, I have known this for years as a project manager. But, when working on lifestyle changes, the routine is critical. “Get into the Groove” is not just a trite phrase. The old vinyl records had grooves that a needle tracked through to create the sounds. As long as the needle stayed in the groove, the music would play smoothly. Bump the record player and the needle would skip and so would the continuity of the music. Well, these new schedules for us have been a big bump and we are totally out of the groove. With momentum lost, I feel a decline in resolve as well. While on the track of momentum in an established routine, you don’t think about resolve. You think about staying on track and moving forward. But, once sidetracked and out if routine, a new determination and resolve must be created and a venture into a new, unknown routine is the challenge. So, that is where I am on this Thanksgiving Day. I have a wife with stronger resolve than I have. I am looking forward to the meat and potatoes and pies…she will stick to her guns. So, what happens after this weekend? How to establish a new routine? Update on December 16, 2013. I started writing this post on Thanksgiving day, but never completed it. Life just seems to of gotten so busy over the holidays and over the last three weeks that I just haven’t gotten to this. Still not in much of a routine. I do need to note the amazing pumpkin pie the Julianne made. 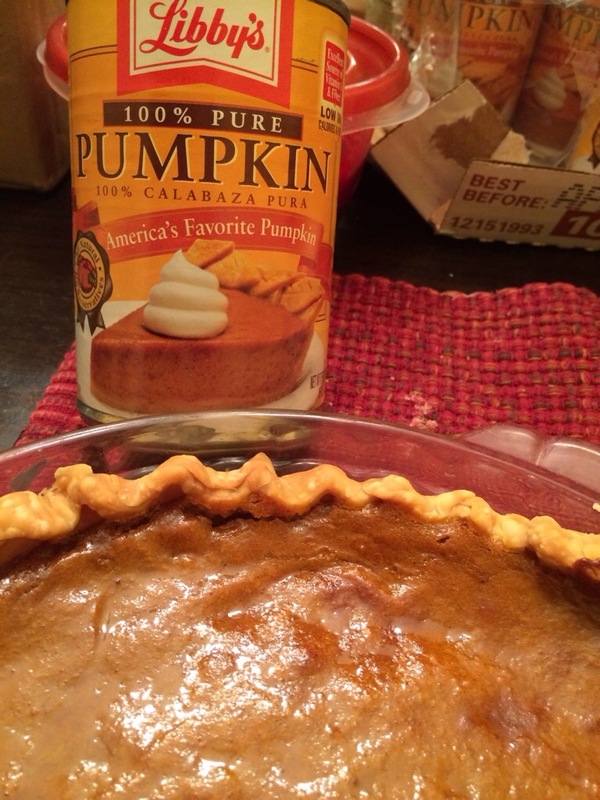 It was totally vegan, and made with cashews, canned pumpkin, and piecrust. Pretty much it! And it was absolutely delightful and very creamy. I have weighed myself two or three times in the past couple of weeks and I’ve gained a few pounds namely because I have not been on any strict routine. Before Julianne got her position at the University of Kentucky, she would typically make fresh juice every morning with a lot of vegetables and fruits in it. She would be home and would make some good vegan dishes.. Obviously, this would be a major factor in weight going down. But now I getting grossed in my work at home and a lot of times I missed lunch and snack on healthy chips and things, but I’m not getting the kind of vegetables that I need. As we get closer to the Christmas holiday, I find it I don’t really want to focus at all on anything in particular diet wise. I would like to enjoy the time with my family, enjoy the nice variety of foods and snacks and things that we get during this time of year. But I also feel a great need to buckle down beginning in January again, not because it’s January, but because it’s after the holidays. Why do I struggle so much with this?